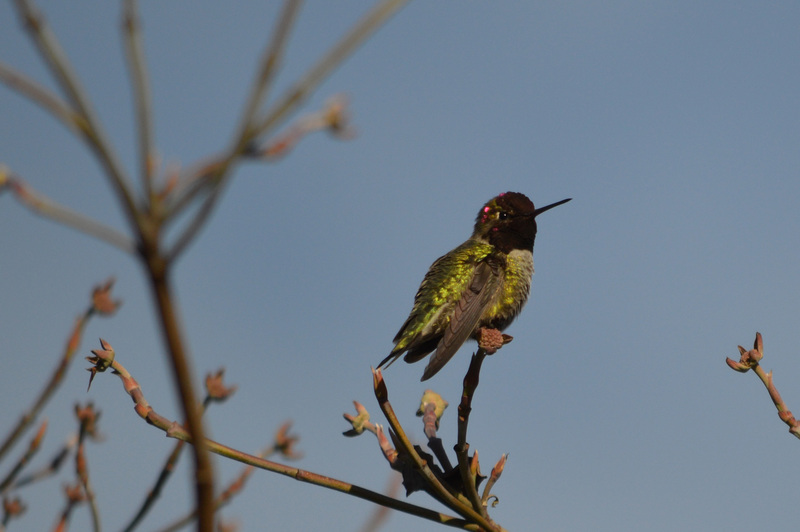 When we were strolling around Stanley Park on this (rare) sunny February day I heard the unmistakable little squeaky chirps of the hummingbird. My eyes scanned the tops of the trees to find this little cutie. 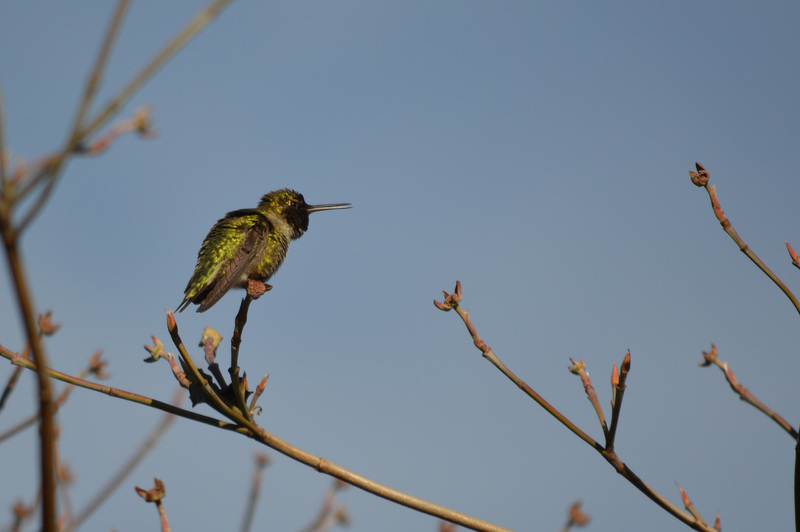 The Anna’s Hummingbird tends to stick around the Lower Mainland over the winter months. In fact we had one that would make an appearance at our balcony a few times in January. We bought a Hummingbird feeder and put it on our balcony and sure enough we get regular visits from him/her now (we’ve named it “Alex”). Our cats are certainly entertained by our regular visitor, it’s a good thing they don’t get out on the balcony. I never thought that I’d have an opportunity to attract these little darlings, as we live over 15 floors up. If only Alex could stick around for longer than 2 minutes, I might actually get a shot of our little visitor. Or click here to see my Hummingbird Album on Flickr. Weren’t you lucky to find this Anna’s! We often see them when we travel to Arizona. One of our favourite places is the Arizona-Sonora Desert Museum in Tucson. 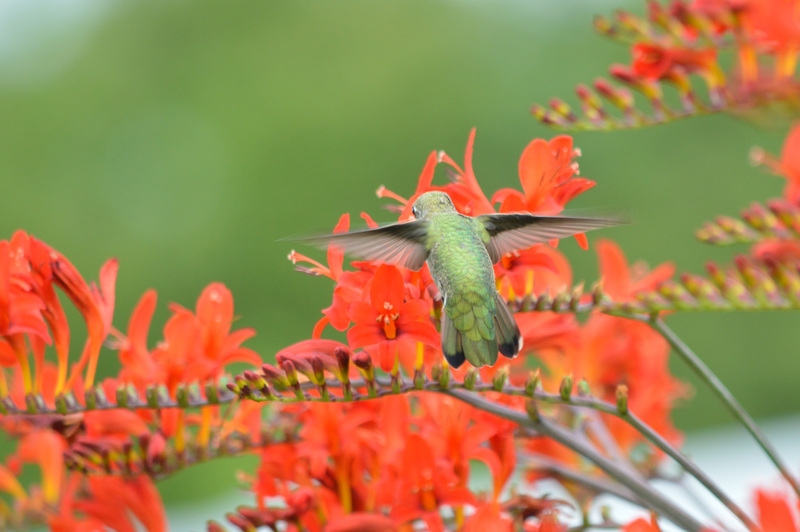 There’s hummingbird aviary that houses several different kinds of hummers and if you’re there are the right time you can see females sitting on nests or raising their young. Priceless. Staff also do free-flights with large raptors – a fascinating show. Wow that sounds like an awesome place! It is — you’d love it!